Samsung is one of the leading smartphone brands in the market. Samsung Galaxy S7 is the trending smartphone with stunning features. Samsung always stands first in releasing new updates (Anyhow, everyone after for Google devices). Galaxy S7 comes with Android Marshmallow out of the box. Almost all the Galaxy S7 variants got Android Nougat update recently. If you own Samsung Galaxy S7 and looking for stock Touchwiz ROM, then you are at the right place. In this article, we will help you to restore any changes you made to the system and also will help you to revert it back to stock or factory images. This process will perform the clean full firmware installation, means you will lose all the data, media, apps. It’s better to backup before proceeding further. This guide is also helpful for soft bricked devices which will help you to unbrick and return back to stock ROM if the Download Mode is accessible on your device. 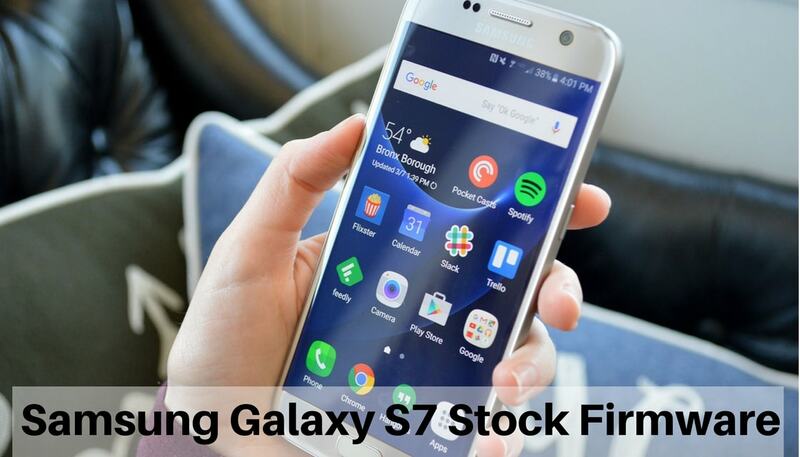 In this article, we will hep you how to download Samsung Galaxy S7 Stock Firmware. Make sure you download the correct firmware for your device. Download the firmware based on model no. of your Galaxy S7. To check model number go to Settings –> About or you can check on device package box ( If your device is bricked or cannot power on). You can also download Droid Info app for device info. Based on device model no. you can download appropriate firmware build from below links. Download firmware for Galaxy S7. Hope you found this article helpful. If yo have any doubts comment down below. [Gapps] Which Google App pack I should download?